What’s this peculiar note from under the snow? A simple thank you, of course. 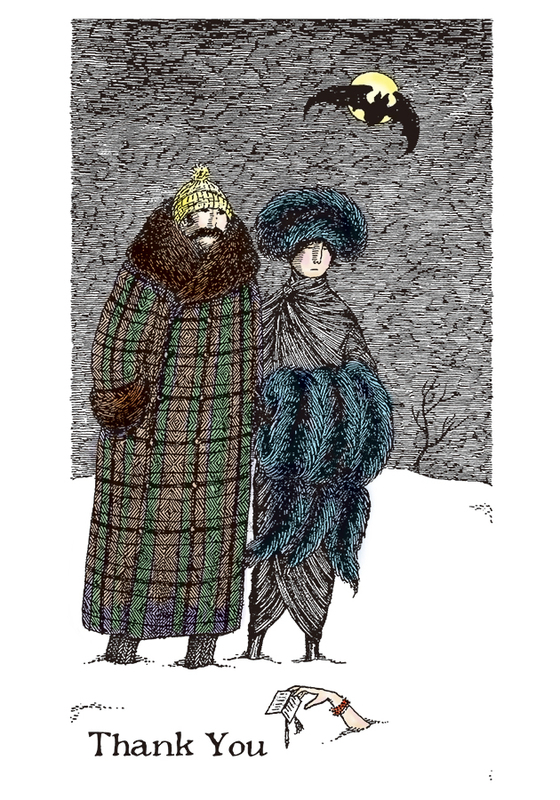 As a letter writer, with few exceptions, Edward Gorey engaged in only cursory communication. But those who received a message from the artist, writer, and set designer might have found the envelope adorned with a drawing.